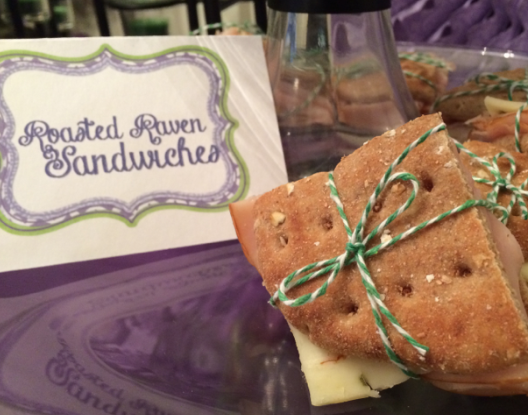 These darling twine tied sandwiches were one of the cutest things from the Maleficent Party that was done in honor of the new Disney movie coming out on May 30th! Here is a quick tutorial on how to make these perfectly-tied bites by Liz from LookByLizLewis! They were simple, but very yummy!